DRMetrix helps agencies to improve the effectiveness of television campaigns by providing insights that can’t be found anywhere else. As a competitive media research system, AdSphere™ was developed to provide a window into the world of accountable television advertising. The foundation of any successful campaign starts with creative that delivers measurable results. AdSphere™ will show you what creative approaches are delivering the best results across 165 industry categories. 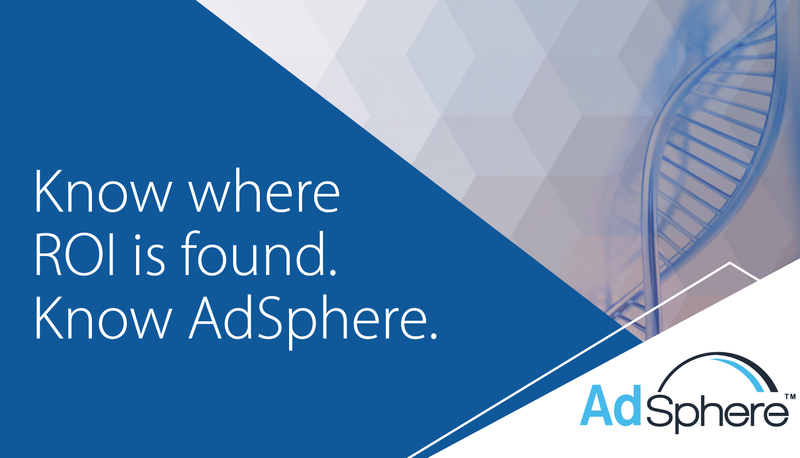 AdSphere™ has tracked over 42,409,448 airings across 48,444 accountable creatives since it was deployed back in 2014. Today, AdSphere™ tracks accountable campaigns on over 125 networks keeping track of best performing networks and dayparts with deterministic data insights that go far beyond traditional GRPs. For more information on how AdSphere™ can help your agency to increase the ROI and KPIs of your television campaigns, please read the following article: GRPs Take A Backseat To New Metrics. 1 Did the spot, 5 min, or infomercial creative really run? AdSphere™ is the only system on the market that allows you to pull down spot, 5 min, and 28.5 minute airings within 30 minutes of actual airtime! Get complete airings data on any brand or creative running on over 125 networks including clickable airing level playback link, program descriptions, break type, 800 number, URL, promotion code, and much more. Pull down airings via FTP, Email, or API with the AVS™ add on for AdSphere™. 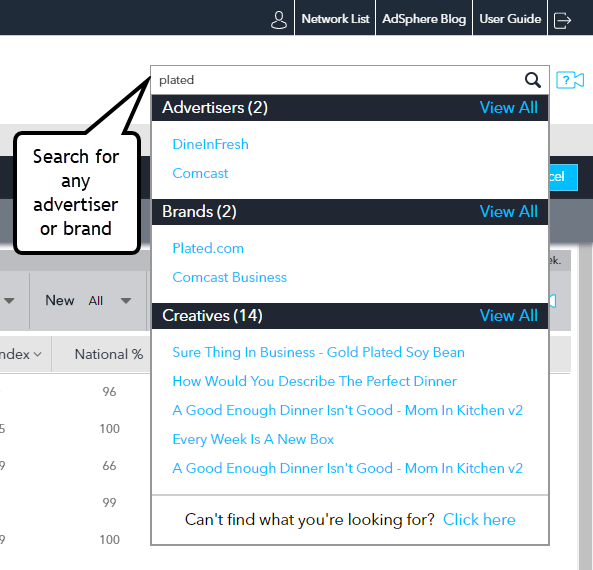 For agency business development and research, Adsphere™ makes it easy to keep up to date on all the new advertiser and brands being launched on television across 165 industry categories. Schedule daily or weekly email alerts for any categories, networks, advertisers, or brands you wish to monitor. For agency business development, AdSphere™ has built the industry’s largest advertiser contact database complete with phone, email, and social media links. It’s easier than ever before to identify, qualify, and contact these valuable targeted prospects. In the direct response television industry, creative success is measured each and every day. Advertisers are constantly investing in new creative in hopes of increasing their television advertising ROI and KPIs. Many DR advertisers use creative variations (different 800 numbers and/or web promotion codes) to accurately track both creative and media performance. Adsphere™ is the first television research system that allows you to segment and study campaigns that use DR variations. Measured DR creatives and network/dayparts that don’t perform well are quickly discontinued to the favor of better performing ones. This intelligence is unlocked in AdSphere™ creating valuable insights as to both creative and media performance for 10,405 brands. DRMetrix created Adsphere™ as the first television research system designed to identify all new brand/direct and direct response creative tests. Once identified, all airings of these creatives are tracked using state-of-the-art automated content recognition (ACR) across 125 networks monitored by AdSphere™. The end result is the industry’s most comprehensive database of DR creative with complete airing detail. A world of creative insights await you as you explore AdSphere™airing frequency timelines at the creative level to determine whether a creative is at the beginning or end of its life cycle. Dive into network details to see the airing frequency by daypart for both national and local break types. There’s never been a research system that speaks the language of direct response like AdSphere™. At Horizon Next, we are always in pursuit of ‘what’s next’ to elevate our data-driven approach to performance marketing as new tools and technologies become available. AdSphere’s product enhances our existing toolkit and allows us to gain deeper insight into our client’s competitor’s television buys in real-time.